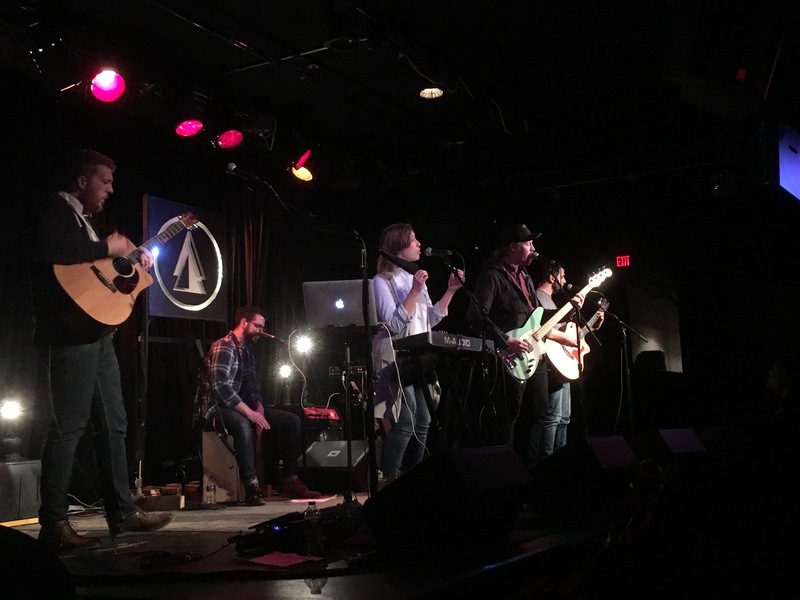 The Ark never fails to bring a night of wonderful, fun, and meaningful music — even on a Wednesday night. Last night was no exception. Right off the bat, shoeless, self-proclaimed goofball Chris DuPont opened the stage with honest music, many of which haven’t been performed before, that touched on subjects from forgiveness to violence, from a loving lullaby for his children to encouraging a liberating internal rebellion. The mix of acoustic guitar with violin — more specifically, the mix of the artistry of DuPont and Katie Van Dusen — created a one-of-a-kind sound, as Van Dusen’s violin voice accompanied DuPont’s own voice in a mesmerizing way. This raw, organic performance proved exactly why he was ranked as the #1 live album on Ann Arbor’s 107one best album countdown of 2017. And with that opening, The Timbre of Cedar took the stage, continuing the powerful energy that DuPont so beautifully set up. With married couple Marrissa and Sam Parham on keys/lead vocals and bass, twins Andrew and Eric Grzyb on guitar and percussion, and Alex Rahill on guitar, The Timbre of Cedar’s sincere love for music, life, and the future radiated off the stage with every note sung, every string strum, and every beat tapped on the cajón. 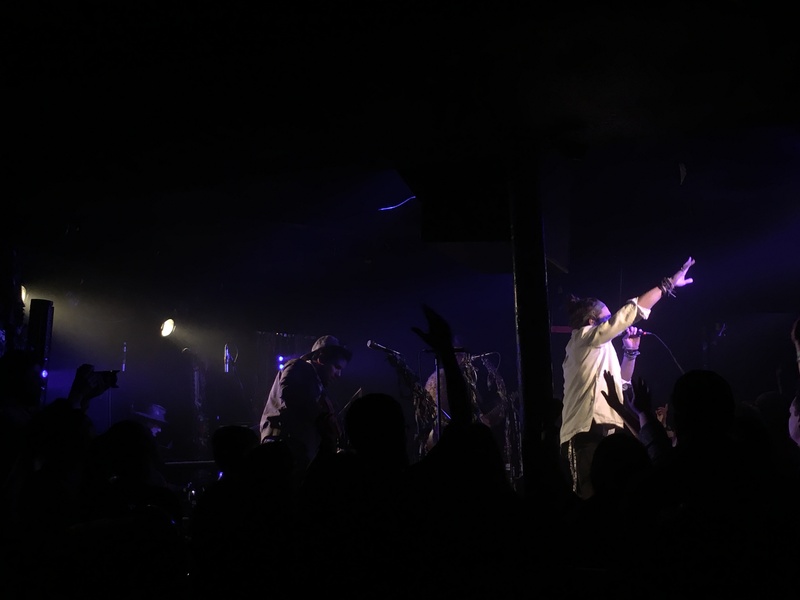 Focusing on hope and restoring the light (as their newest full-length album is called), their songs, with religious undertones, reflected an optimistic outlook on life that everyone should carry. Usually an indie rock band, the acoustic spin they took last night was no less electrifying. Marrissa’s vocals rang through the room, and Rahill had a rocking solo on his acoustic guitar on their cleverly-named song “F Sharp”. Singing originals off their EP and Restoring the Light, and even a rendition of “If I Ain’t Got You” (because who doesn’t love classic love songs), the band captured the tension underlying reality while shining a ray of hope onto the unknown possibilities through the fiery acoustic instrumentals that were bursting out of their souls and into the audience’s. 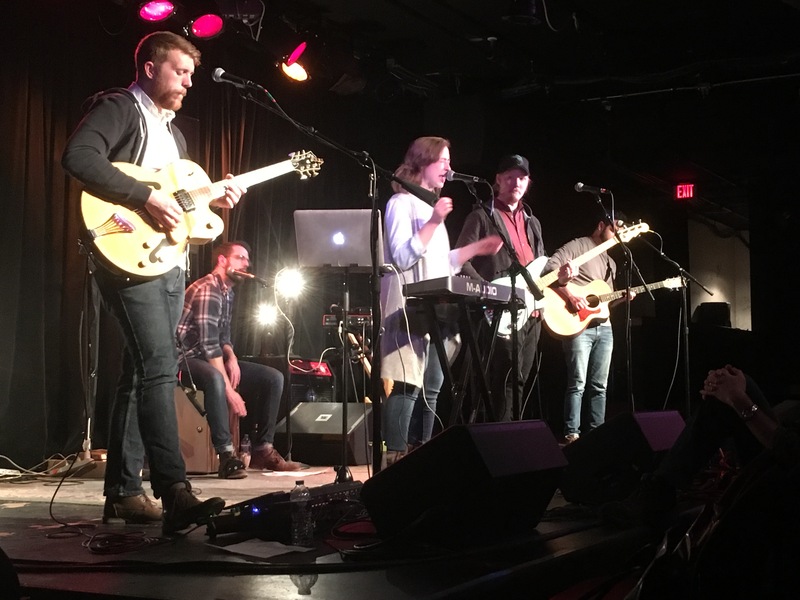 The room in The Ark was filled with good vibes in the middle of the week, from DuPont’s “sad” yet insightful songs followed by The Timbre of Cedar’s inspirational message of perseverance, hope, and belonging. When given the option between listening to these rising musicians or studying, I’m sure glad I spent my Wednesday night the right way. 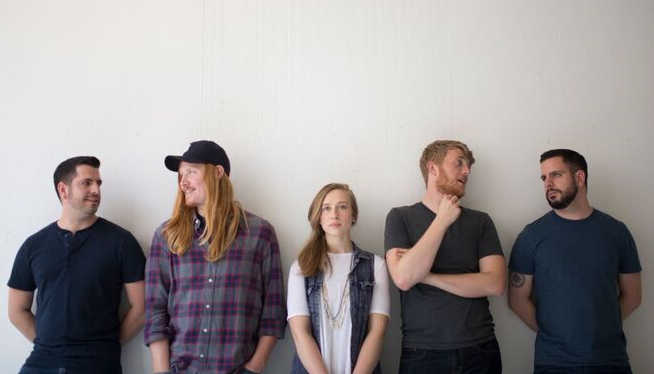 From the Metro Detroit area, The Timbre of Cedar is coming to Ann Arbor to conquer the stage at The Ark. This 5 member alternative indie band is bringing their unique sound to the music scene. Strong vocalist Marrissa Parham will tantalize the stage with the soulful lyrics and emotions this band passionately evokes. With songwriter Chris DuPont opening, the night is bound to be one to remember. 8:00 PM. January 17. The Ark. Be there. Tickets are $15 and can be purchased at http://theark.org/shows-events/2018/jan/17/timbre-cedar or at the Michigan Union Ticket Office. This event is also free with a Passport to the Arts voucher! All the more reason to go! I thought when I went to The Ark for Tuesday’s Milk Carton Kids show that I was getting a low-key acoustic show. I got that, but also so much more. At times funny, ridiculous, and bittersweet, The Milk Carton Kids and their opener Sammy Miller and the Congregation defied description in a concert I won’t be forgetting any time soon. The name Sammy Miller and the Congregation sounds like a throwback to the Jazz Age, but theirs wasn’t a traditional jazz show. In fact, they told us, they were banned from the genre of jazz for reasons that were implied to be related to their production of a “jopera:” a jazz opera that eschewed any genre. The band incorporated theatrical elements, humor, and even a little pop music into their set. Their jopera was weird and wonderful, incorporating costumes, singing, and even a nonsensical storyline (an essential part of any opera). They engaged the audience, sometimes leaving stage and returning via the seats, as actors often do. I’m still not sure how to describe what I saw, but I know I was entertained. 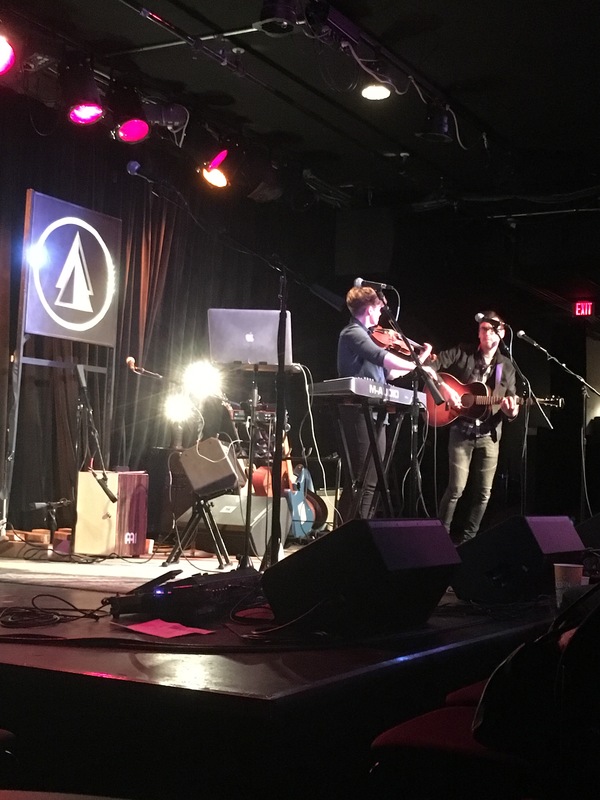 The Milk Carton Kids, a duo consisting of Kenneth Pattengale and Joey Ryan, couldn’t have been more different in style and substance from their opener. Their sole instruments were two acoustic guitars. They wore suits and stood around one mic while they performed a set of mostly melancholy folk songs. But they, too, injected a surprising amount of humor into their set in their pre-song introductions. At the beginning of the set, for instance, Kenneth confessed that he was watching the World Series on a device hidden in his bag (I don’t blame him). That joke recurred throughout, and there were times when Joey would start introducing a song and Kenneth would stand at the back of the stage, tuning his guitar and clearly peering into his bag. The whole audience was laughing at their intros, which were at turns funny, awkward, and self-effacing. It was an odd juxtaposition; it was almost as if they were performing a comedy show in between their folk concert. The music itself was entertaining for very different reasons. I was impressed by the band’s harmonies, particularly on their slower songs. The intimate setup of The Ark and the songs’ sparse arrangements really brought out those harmonies. 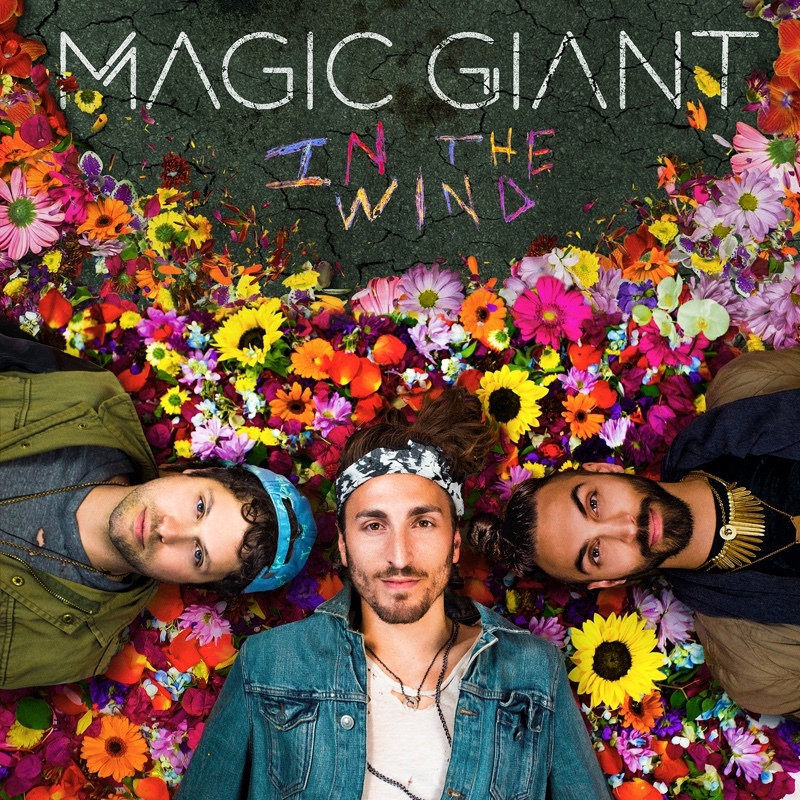 One song I particularly enjoyed was “I Only See the Moon,” a song from their upcoming album. Their penultimate song “Michigan” was also a highlight. Luckily, they were lying when they sang “Michigan’s in the rearview mirror” and came out for an encore. I also enjoyed listening to the lyrics of the songs they played. Many were about traditional topics of contemporary folk, such as melancholy memories and places of the past, but others were political or even happy and upbeat. I allowed myself to sit back and get lost in the imagery of the lyrics, something that’s not possible at other types of concerts. Though the Milk Carton Kids aren’t the kind of band I regularly listen to, and their concert wasn’t the kind of concert I usually attend, I was glad I went. The music was beautiful and the spoken interludes were entertaining. I’d never seen anything like this concert before, and I have a feeling I won’t ever again. But I’ll remember every bit: the humor and the harmonies, the beautiful and the weird. The Ann Arbor Film Festival is the oldest avant-garde and experimental film festival in North America (from the Web Site). The festival is full of indie and oddball films, characteristic of Ann Arbor culture. Over the course of the six day festival, viewers can choose from over 180 films from over 20 countries. Genres include documentary, fiction, animation, and experimental. The AAFF is popular enough to warrant an SNL sketch parodying the kind of festival it is.